The latest version of Windows OS, Windows 7 will be shipped with a new version of Windows Media Player. The Windows Media Player 12 that will be shipped with Windows 7 will have many new features. The UI itself is brighter and lighter than the older version. I feel the Interface will be pretty same with just few minor tweaks. 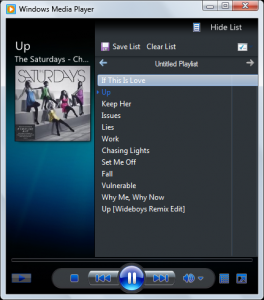 Windows Media Player 12 completely separates library management from what’s currently playing, with two distinct player modes; Now Playing view, and Library view which is different from the older version. The Library view contains all the library manipulation features and the Now Playing view contains the current playlist, visualizations, and videos. There is also a miniviewer on the Windows 7 Taskbar. Apart from this there are plenty of small refinements like automatic previewing of a song; which plays a 15-second preview of the song. Windows Media Player 12 supports formats like H.264 video, AAC audio, and both Xvid and DivX video in addition to the other formats which it used to support. This is the best thing I liked about the new version. Windows Media Player 12 allow browsing not only of WMP libraries(which is there in version 11), but also of iTunes libraries. 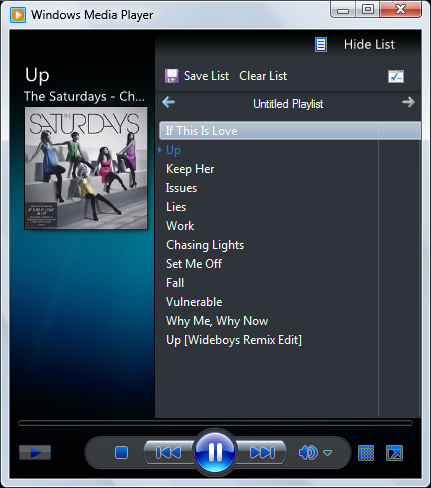 Windows Media Player 12 makes it easier to play back audio or video on remote devices with a feature called “Play To.” With this you can stream Music to other computers in your HomeGroup. There are plenty of other features that we will come to know once it is released. Thats great news. Will wait for this one.